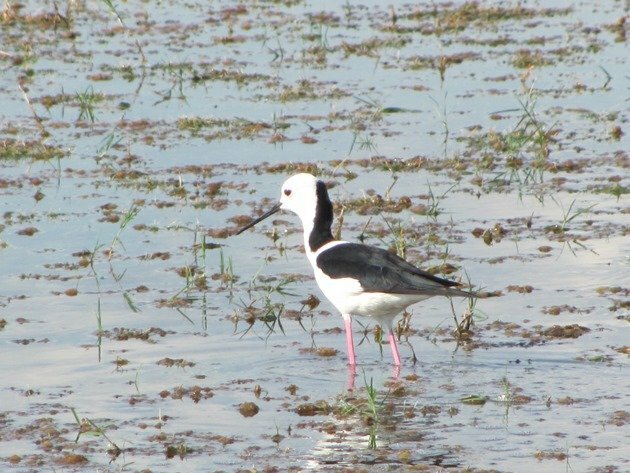 The Black-winged Stilt Himantopus himantopus is a large black and white shorebird that has distinctive long pink legs. 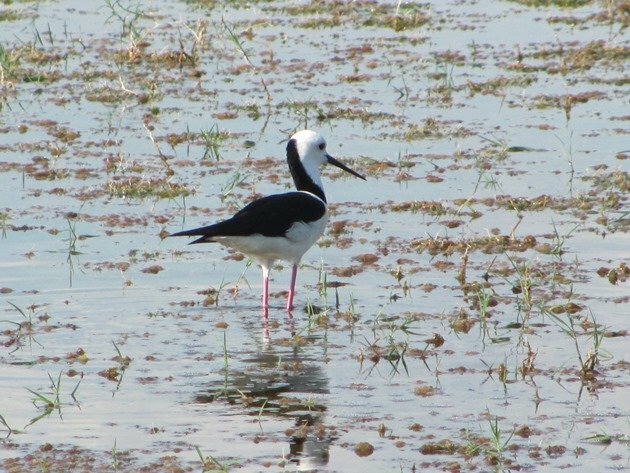 It has a fine straight bill and is found in a variety of places around Broome. 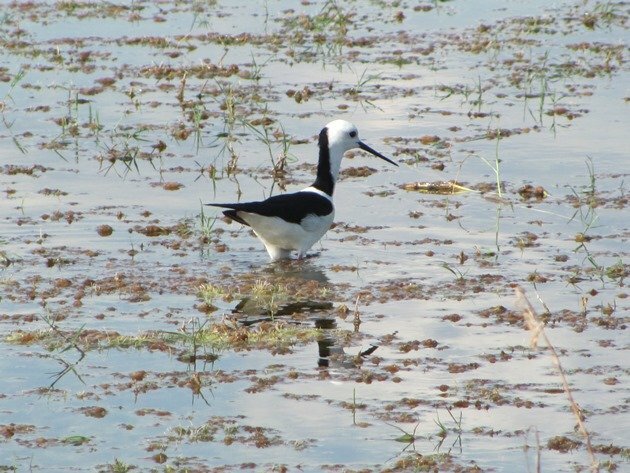 When the land is flooded after rain it will move inland and breed at the ephemeral lakes and raise its young there. 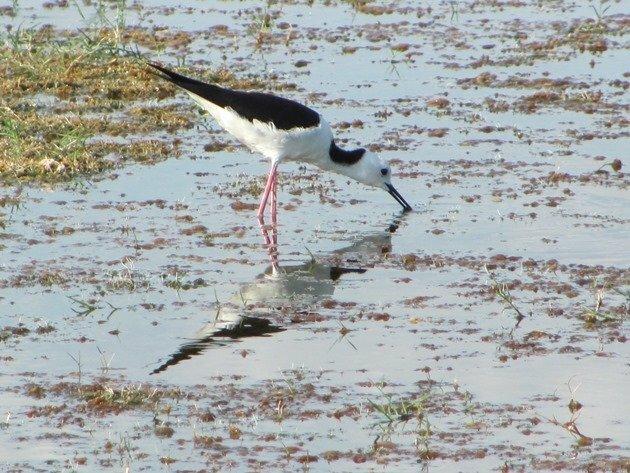 During our cool dry months there will be hundreds along the shores of Roebuck Bay and they are also present at the Poo Ponds and the adjoining beach. 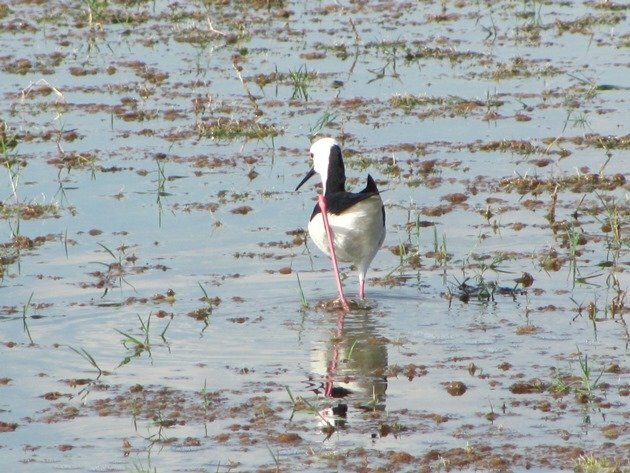 It is a very easy species to find in the Broome area and present throughout the year. 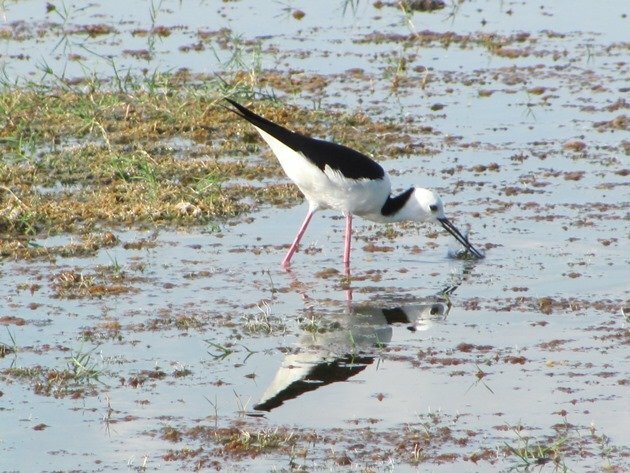 The closest similar species is the Banded Stilt, but it is a stockier bird with shorter legs. A good comparison photo can be found here. 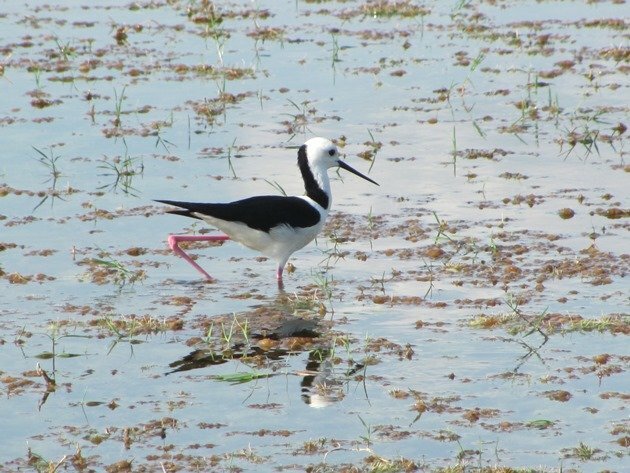 During February there were large numbers of Black-winged Stilt to the south of Broome on the flooded land of Roebuck Plains and also on the road making the most of the tadpoles that were attempting to cross the road. 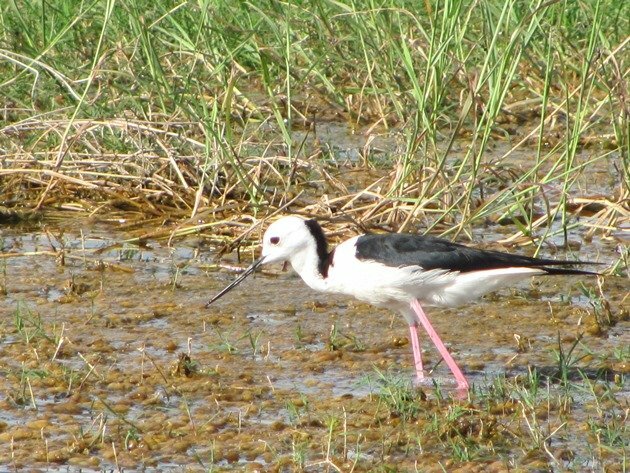 Over the following weeks the Black-winged Stilt bred in the area and there are now good numbers of juvenile birds right against the main highway. The nest is a shallow depression that is generally lined with vegetation. On our recent trip across that section of highway we were able to take advantage of the closeness of the birds to take some photographs from the car. In these situations you thankfully don’t need a camera with a large lens! 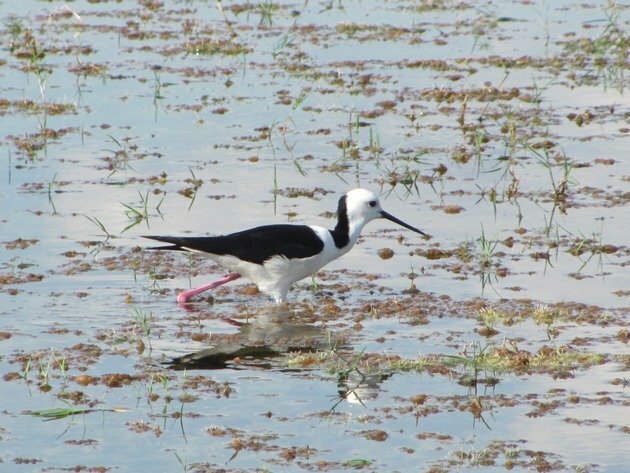 It didn’t matter how slimy and sloppy the area was as the Black-winged Stilt waded through looking for food and it is quite an achievement that they never seem to get dirty! They always look “smart” and clean. 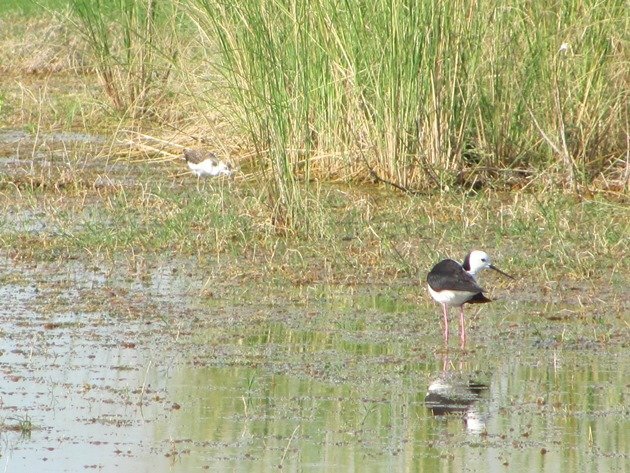 The adult Black-winged Stilt generally kept the juvenile birds to the edges and the taller undergrowth and with the numerous birds of prey present it was a very sensible move. We saw several raptors attempt to take juvenile birds and the adults flew up and chased the birds away. 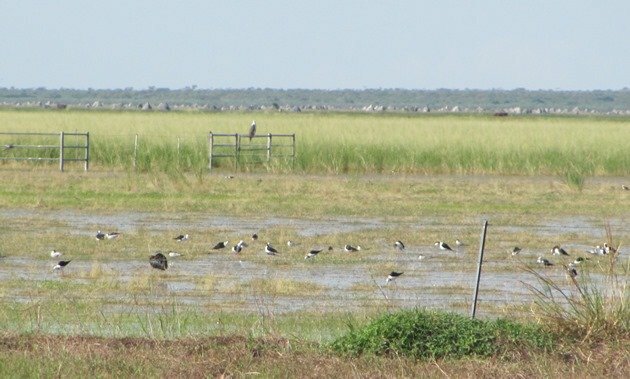 All of these photos were taken right against the edge of the flooded highway and the feature photo at the top shows one of the groups wading through a flooded section with one Glossy Ibis and a White-bellied Sea Eagle on the gate post. All of the grey lumps in the background are termite mounds. 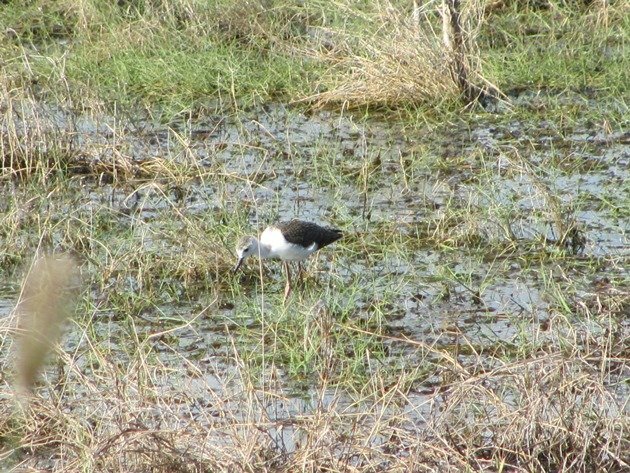 This area will continue to offer excellent birding opportunities and whilst the road remains in a bad state of repair everyone will be forced to slow down and enjoy what nature has to offer. 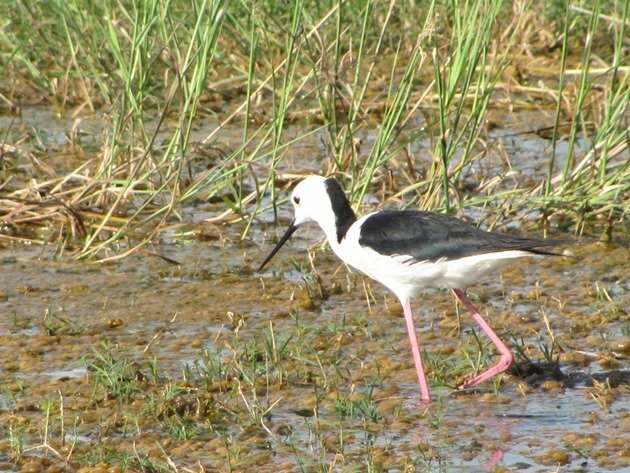 That’s a beautiful stilt, Clare, similar to the Black-necked Stilt of the west coast of the US. Your photos are great! Thanks Wendy! Always handy when you can get close in a car and not disturb them when you don’t have a long lens!